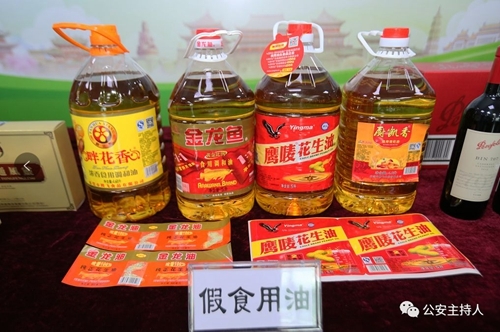 Guangdong tracked down lots of fake food and drugs, including peanut oil, health food and diet pills! On July 27,Foshan Public Security Bureau reported the typical cases about food-related crimes as the results of their special crackdown in this regard in the first half of this year. 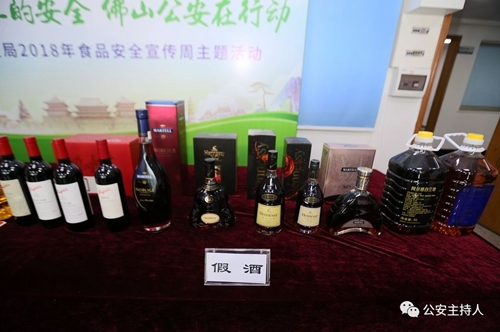 During this period, 144 criminal cases related to food and drug were established and 120 of them were uncovered across the city; 319 suspects were criminally detained, 145 were arrested and 124 were prosecuted; and the cases are valued over 28 million yuan. Several cross-regional criminal gangs were destroyed. Over 40,000 boxes of fake drugs, over 240,000 tablets of fake raw material for dieting food and a large quantity of counterfeit peanut oil were detained.